Women make up an increasing percentage of lawyers, sole practitioners, and partners at larger firms. While many of the skills required to be successful at The Business of Law® are not gender-specific, in many cases there are unique challenges faced by women as they advance in the legal profession. That’s why award-winning law business management expert Ed Poll has partnered with Rebecca Torrey, partner at Manatt Phelps & Phillips, to create the LawBiz® Practice Management Institute’s Women’s Leadership Program. This unique 1.5 day educational experience features a curriculum distilled from Ed’s decades of working with successful attorneys and practice managers, combined with Rebecca’s personal insights. Each session addresses top challenges successful attorneys and managing partners face, with an emphasis on the challenges faced by women attorneys as they try to improve profits and increase revenue in their firms. Attendees will complete the program with a fresh approach to how they can build their practices and efficiently improve their firms’ profitability. Growing the law practice is an essential need of lawyers and firms. Over the last few years, for the first time in American history, thousands of lawyers have been laid-off. The very economic foundation of law practice has been shaken and the profession has been unalterably changed. When supply exceeds demand, as is currently the case, the stress level of lawyers increases dramatically. The pressure to increase billings and improve collections has never been greater. Today more than ever, lawyers must understand The Business of Law® in order to survive, let alone thrive, and effectively meet the needs and expectations of clients. The curriculum of the LawBiz® Practice Management Institute addresses many of these challenges with real-life scenarios, role plays and practice sessions—and focuses on specific challenges faced by women as they climb the ladder within the legal profession. . . A 1.5 day accredited MCLE educational program with a specially designed curriculum in a small intimate setting. To allow for interactive discussion and accelerated learning, attendance will be limited. Attendees will receive an Institute Handbook, developed specifically for this workshop, and several publications from Ed Poll’s Business of Law® Library. They will include four special reports, the recently updated Profitable Law Office Handbook 16th Anniversary Edition, and the updated Secrets of the Business of Law®, 2nd Edition, as well as special promotions on Ed Poll’s books and audio guides for practice management, plus more. In addition, each attendee will receive follow-up access to Ed Poll through unlimited email access to Ed for 60 days and two group coaching sessions. One half (50%) of the Institute fees paid will be credited towards any coaching or consulting service engagement with LawBiz® Management within two (2) months of the Institute. “Ed's impact on my business has been tremendous; in fact, without my work with Ed over the course of the past several years, I wouldn't have my own practice. He’s helped me focus my time and energy, increasing my efficiency and helping me more than double my billable hours. He is always available to answer any questions I may have or help my resolve any problems I may have - whether large or small. He is my greatest resource, and is a compass in often troubling seas." What is The Business of Law®? Goals & Action Plan: Where Do I Go From Here? Edward Poll is the nation’s foremost expert on law practice management, focused on helping attorneys and law firms effectively manage The Business of Law®. Ed Poll, J.D., M.B.A., CMC, has dedicated his career to helping others win. With over four decades of professional experience, Ed’s extensive background in business and law have made him one of the nation’s most sought-after experts in law practice management. 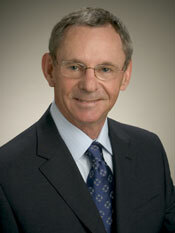 He is the first recipient of the California State Bar (LPMT Section) Lifetime Achievement Award in 2010. A native of Chicago, IL, Ed graduated from the UCLA School of Law and received an MBA from USC. He served as VP and General Counsel for his family business, Fairfax Food Corporation, where he grew revenue at more than 10% per year and renegotiated bank credit lines to enable the company to double its farm produce intake. Ed practiced law for 25 years on all sides of the table, including as in-house counsel, government prosecutor, sole practitioner, and partner in a small law firm. He was also the chief operating officer for a mid-size law firm. Since 1990, Ed has owned and operated LawBiz® Management, a Venice, CA-based firm that collaborates with lawyers to increase their revenue and net profits, and reduce their stress. He coaches and consults attorneys throughout the country in the areas of starting and operating a law practice, strategic planning, profitability analysis, and practice development. Apart from maintaining his popular blog, www.LawBizBlog.com, Ed is a syndicated columnist and regular contributor for Lawyers Weekly, Law Practice Today (ABA), Canadian Bar Association, California Lawyer, The Bottom Line (State Bar of California), and other renowned publications. He has authored and produced an entire catalogue of books and practical guides concerning The Business of Law®. His most recent book, Life After Law: What Will You Do With the Next 6000 Days? (LawBiz Management), provides career advice on how to best personally and professionally transition out of the legal profession. He is a sought-after speaker by Bar Associations across the country, and has created more than 30 teleseminars for WestLegalEdcenter, as well as published a variety of CDs and DVDs, the most recent being 8 Steps to Greater Profitability: The Lawyer’s Path to Prosperity. Ed is a Fellow, College of Law Practice Management®, Board Certified Coach to the Legal Profession in the Society for the Advancement of Consulting (SAC), and a charter member of the Million Dollar Consulting® Hall of Fame. He and his wife Paula reside in Venice, CA. In their spare time, they like to travel in their restored Airstream trailer. Ed is also an avid cyclist. 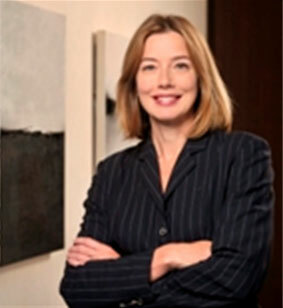 Rebecca Torrey is an equity partner at the national law firm of Manatt Phelps & Phillips. She is experienced in all aspects of employment law, with an emphasis on defending employers in single plaintiff and class action cases in state and federal court. Ms. Torrey advises employers in the full range of employment matters. In addition to her work with clients, Ms. Torrey is a leader in her firm, currently serving on Manatt’s board of directors, the firm’s management committee. She chairs the firm’s pro bono committee, and actively mentors a diverse group of younger attorneys. She has held numerous leadership roles in her firm, including serving on the litigation management committee, chairing entry level recruiting, and developing and heading Manatt’s Mentoring Program. Ms. Torrey serves on the advisory board of Hastings Leadership Academy for Women, an executive education course that prepares women law firm partners and in-house counsel for the highest levels of success in their firms and organizations, their communities and the legal profession. She participates in Women Lawyers Association of Los Angeles and serves on the board of trustees for the LA County Bar Foundation. The LawBiz® Practice Management Institute is offered at the special rate of $2,495 per person. This includes all sessions, a selected Business of Law® Library, as well as continental breakfast and lunch on both days, and complimentary parking. Payment must be received by January 2, 2015 to qualify for discount. Only one discount per participant. In addition, the first 6 people to register will be treated to dinner with Ed and Rebecca on Thursday evening. There will be no refunds. In the event the participant cancels attendance after payment of the full investment fee, but prior to 30 days before the scheduled start of the Institute, the investment fee may be applied toward a future engagement within one year following the Institute. There shall be no refund or application toward a future engagement if the cancellation is received within 30 days of the scheduled start of the Institute. MCLE credit will be offered for this program.